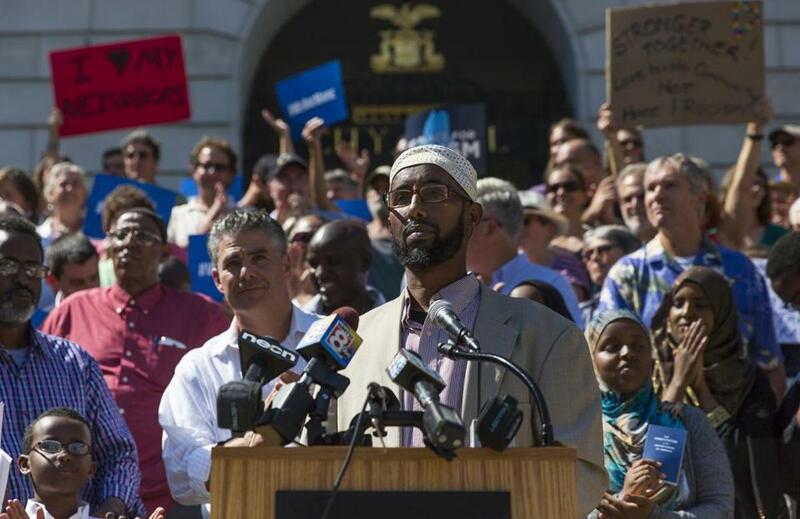 Mahmoud Hassan, president of the Somali Community Center of Maine, paused for applause during a rally at city hall in Portland to protest remarks by Donald Trump, who Thursaday claimed Maine&apos;s Somali community is tied to an increase in crime. PORTLAND, Maine — Somali refugees have opened bustling shops in this state, sent their children to college, joined local government, stitched themselves into the fabric of life. But Donald Trump suggested they also have brought crime and fostered terrorists. That incendiary charge was denounced Friday not only by a chorus of Somali leaders but by Senator Susan Collins, a Maine Republican. Trump’s comments, delivered Thursday at a Portland rally, led to bewilderment and anger among the state’s Somalis. 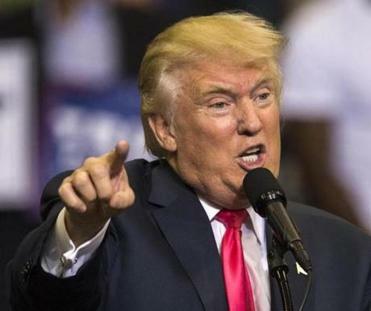 Citing the Marathon bombers and Somalis in Maine, Donald Trump raised the prospect of terrorists infiltrating the country as refugees. The City Hall demonstration attracted about 400 people and included chants of “more love, no hate,” and signs that read “I love my neighbors” and “No place for racism.” Portland Mayor Ethan Strimling, who tucked a copy of the Constitution in his shirt pocket, welcomed the city’s Somali residents. “We need you here,” he said. In Lewiston, where an estimated 7,000 Somalis live, police said Friday that crime is going down, not up. They faced resistance when they began arriving in Lewiston in 2001, but the Somalis there say much of that initial tension has dissipated. “America is the land of opportunity, the land of diversity. There are a lot of different people here,” said Muhidin Libah, executive director of the Somali Bantu Community Association of Lewiston. Trump not only raised the specter of rising crime since the Somalis arrived, but the possibility of terrorism when he spoke of the large Somali presence in Minnesota. In June, three young Somali men there were found guilty of federal charges that they tried to travel to Syria to join the Islamic State. Libah said Trump’s attack on Maine’s Somalis is “ignorant” and could incite violence. “He doesn’t have any evidence of terrorism. We haven’t seen any of that sort. This is our country, this is our state, and we are living peacefully with the rest of the community,” Libah said. The Maine Immigrants’ Rights Coalition also lashed out at Trump. “It is damaging to the psyche of our youth to hear a major party presidential nominee condemn our culture and religion, especially while standing next to the governor of our state. We condemn his name-calling, scapegoating, and the lies perpetrated by his campaign,” the coalition said. Lewiston Mayor Robert Macdonald gave a quick, brusque response when asked for his reaction to Trump’s comments. Ben Chin, the Democrat he defeated in December, was scathing in his criticism of Trump. “Those comments are completely out of line with every American value and every common-sense standard of decency and morality,” Chin said. Brian MacQuarrie can be reached at brian.macquarrie@globe.com. Vivian Wang can be reached at vivian.wang@globe.com.